How to set up an IP camera without DVRs? Is it possible to control a single CCTV camera without DVRs? And how can you connect and record an IP security camera without DVRs or NVRs? These are the questions I see a lot on the forums and the Q & A sites. So today I want to talk through all the aspects about how to set up, connect and record security cameras without a DVR or NVR. Before we go any further, firstly you need to figure out whether a CCTV security camera can work without DVRs or NVRs. The short answer: absolutely YES! To simply put, a DVR or NVR is mainly designed to store the security camera footage. Without DVRs or NVRs, IP cameras can still work independently as standalone surveillance devices, just like the security cameras with SD card. Better yet, you can also connect an IP camera to your phone, computer, laptop, TV without a DVR/NVR to stream live feed. For the detailed steps about how to set up, connect and record a security camera without DVRs or NVRs, continue reading the following parts. 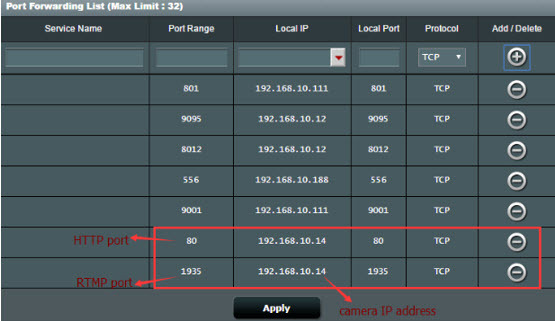 Basically, there are two ways for you to set up an IP camera without DVRs and NVRs, that is, through entering the UID (for P2P cameras) and port forwarding. 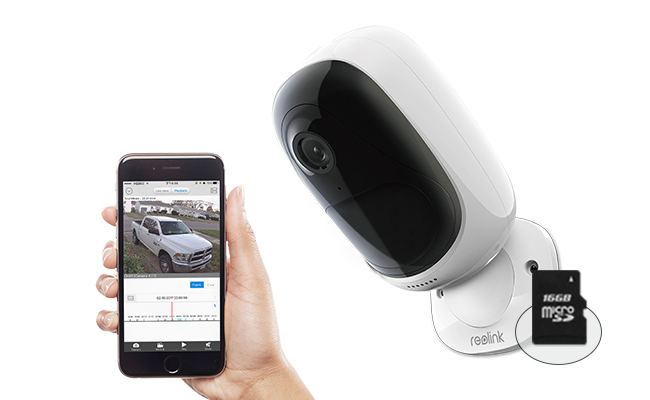 If your security cameras support P2P technology, like the ones sold by Reolink, it can be quite easy to set up your IP cameras without DVR/NVR for live viewing. Taking the P2P IP camera Reolink Argus® 2 for example, below are the quick 3 steps to accomplish the security camera setup without a DVR or NVR. 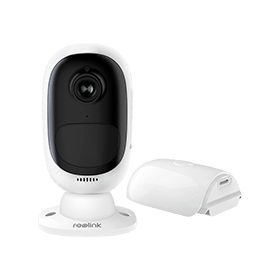 Step 1: Download the free security camera software provided by the seller, such as the Reolink App and Client. 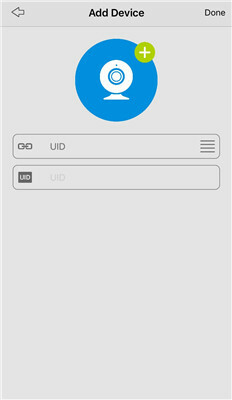 Step 2: Enter the camera UID and password to add the camera device. Step 3: Click the camera on the App/Client and then you can view Reolink Argus® 2 over Internet. Here is a video shared by the user of Reolink Argus® 2. Your CCTV security cameras don’t support P2P or you want to access your IP cameras from a web browser? Here we use Reolink RLC-410 in our test and below are the detailed produces below to set up the IP camera without DVRs and NVRs via Port Forwarding. Step 1: Find the IP address of your security camera from the “Device Settings” > “Network Status” (read this to learn how). Step 2: Check the “HTTP port” and “RTMP port” of your IP camera in the “Device Settings” > “Network” > “Advanced” > “Setup” > “Port Settings”. Step 3: Log into the web interface of your router and forward the HTTP port and RTMP port to the camera’s IP address on the router. 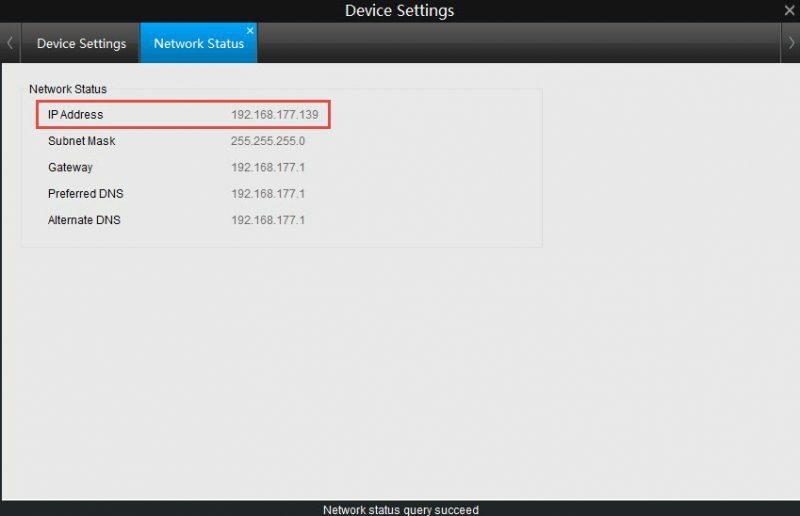 Step 4: Locate the WAN IP address of your home network here. Step 5: Open a web browser and enter the URL address in the format of http://(wanip):(httpport). The methods to connect PoE cameras and wireless CCTV cameras to your PC or laptop can be a bit different, so we’ll instruct you separately in the following detailed steps. Step 1: Charge your wireless security camera with the power adapter. Step 2: Connect your WiFi IP camera to the router via the network cable for initial setup. Step 3: Launch the security camera software on your computer or laptop to add and view the camera. Step 4: Choose the WiFi network and enter the password under the “Device Settings” > “Network” menu. Then you can remove the network cable and the wireless security camera connects to your PC/Mac successfully. 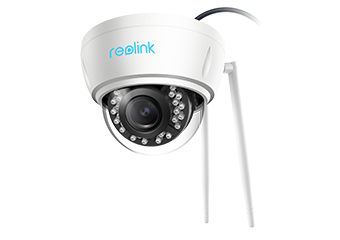 Below is a video of the wireless security camera Reolink RLC-422W. 5-Megapixel Super HD; 2.4/5GHz Dual-Band WiFi; IK10 Vandal Resistant; 4X Optical Zoom; Outdoor/Indoor Protection; Built-in SD Card Slot. Note: The above steps apply for the connection of Reolink non-battery powered wireless security cameras to the computers and laptops without DVRs or NVRs. Cameras from other brands may have different rules. Step 1: Connect your wired security camera to the router with the network cable, which provides video and power transmission for your PoE camera. Step 2: Launch the security camera software on your computer or laptop to add the camera. 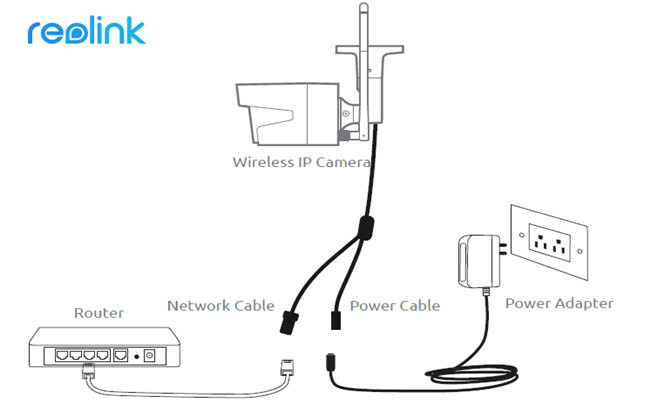 Below is a high quality video shared by a user of the PoE security camera Reolink RLC-410. 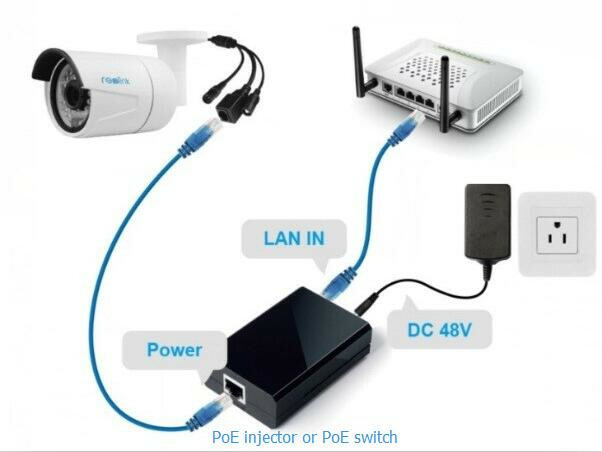 Note: If your router does not support PoE, a PoE injector or PoE switch is needed to connect your PoE security IP camera to your computer or laptop without DVRs or NVRs (refer to the image below for the connection method). Want to watch the live viewing of your CCTV security cameras without a DVR/NVR? Check out the steps below to learn how to connect analog CCTV cameras to a TV or monitor without DVRs. Step 1: Connect your camera to the VCR with an RCA cable. Step 2: Plug your camera into the power source with the power adapter. Step 3: Hook up the VCR to your TV via another RCA cable. Step 4: Adjust the TV and VCR into channel 3 or 4 to get the live viewing. Step 5: Insert a VHS tape into the VCR, and then press the Record button to get video recordings. Mind that the steps above only apply to connecting analog CCTV cameras to your TV without DVRs. In case you need to view an IP camera on a TV/monitor without NVR, the third-party devices are required to help with the connection. Taking NetcamViewer Monitor for example, which claims to support any IP camera on a monitor or TV, you can plug your IP cameras into this device via Ethernet cable and connect to the TV HDMI port, then you may switch the channel to watch TV or check out IP camera video feeds. As mentioned above, DVRs and NVRs are the common security camera recorders to save IP camera video footage. Even without a DVR or NVR, there are also other alternatives for you to record an IP camera. 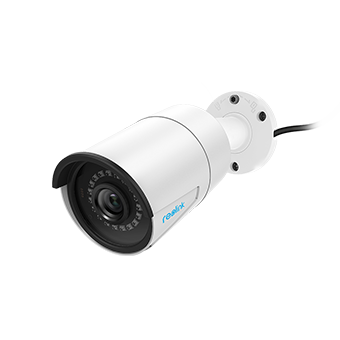 Solution 1: Choose a security camera with built-in Micro SD card or insert a memory card to the IP cameras with Micro SD card slot. Note that the SD cards are designed to record motion triggered events only. And when the storage space is full, the older files will be automatically overwritten by the new ones. Solution 2: If you have a spare computer or laptop at hand, you can also record the CCTV camera footage to the PC directly. But you will need to keep your PC/Mac running all the time. Solution 3: Upload and store your security camera videos to an FTP server without needing a DVR/NVR. You can also have easy access to your files from anywhere via your mobile devices. Solution 4: If your security camera seller provides cloud storage service, you can also record your IP camera to the cloud without a DVR/NVR. Though the monthly subscription fees are required, the advantage is that the cloud service allows for off-site backup of your sensitive and important files, and also allow you to access them anytime and anywhere. If you do have any other questions about how to set up, connect and record a CCTV camera without a DVR or NVR, please feel free to let us know. This entry was posted in How-to Guide and tagged set up ip cameras without dvrs. Revlight Security offers exceptional video quality and audio, Get a crystal 1080p full HD picture of your home & Business, from anywhere at any time, and see up to 90Ft away in the dark, help you keep a watchful eye on your home or business. WE Are Provide Best Quality 2 Camera DVR Security System with resonable Price , if you want this HD Quality Camera , With 4 Channel DVR Security System So you Can Contact Revlight Security Team Any Time Any Where . Great article, thanks! I hope you’ll be able to answer my [related] question as eloquently, as well! The online has been flooded with tiny, Chinese made, inexpensive cameras that were adapted to RC [FPV] use from covert security and CCTV applications. Unfortunately, while I initially saved a bunch of money (they are usually marked up by US sellers by 4x or more), I now have a bunch of small cameras that I cannot connect correctly to my CCTV system. I am not totally sure if the issue is the wiring – trying to find a genuine mfg and wiring diagram or pinout has turned out to be impossible – or that the output isn’t suited to my DVR, TV, computer (iDevice or PC). I’ve tried everything, including trying to deal with my CCTV mfg, only to find that they either don’t know, or don’t care to assist since the cameras weren’t purchased from them. Bottom line, how can I use these amazing little cameras? I don’t want to burn them up by connecting wrongly, but I am at my wits end trying to figure out why nothing happens when they are wired in. Yes, they are all wired, come with annoying brown, 3-pin Molex connectors (as though they’re still being marketed as FPV cameras), and are set for NTSC output. I have adapters, including 4-pin for those with sound (let’s not even go there yet, lol) to allow them to function via RCA/AV cable, but I’m stumped. Just as an example, if you search, “Super mini wide angle,” on eBay, you’ll get a funky little cam with a long lens – I have 4 – but its a good example. The others are comparable and all are bases either on a Philips 3299 chip or the standard Sony chip. Hi, there, FPV cameras are mainly designed to work with drones. Due to different video formats and other tech specs, these small cameras might not be compatible with your CCTV system or PC. If you need any help upgrading or replacing your existing CCTV system, plz feel free to let me know. I have bought 3 cloud ip cameras for my shop, plz can u give me step by step instruction on how to configure and access them online? Hi there, please refer to this guide for the step-by-step instructions, /how-to-set-up-ip-camera-remote-viewing/. Hope it helps.